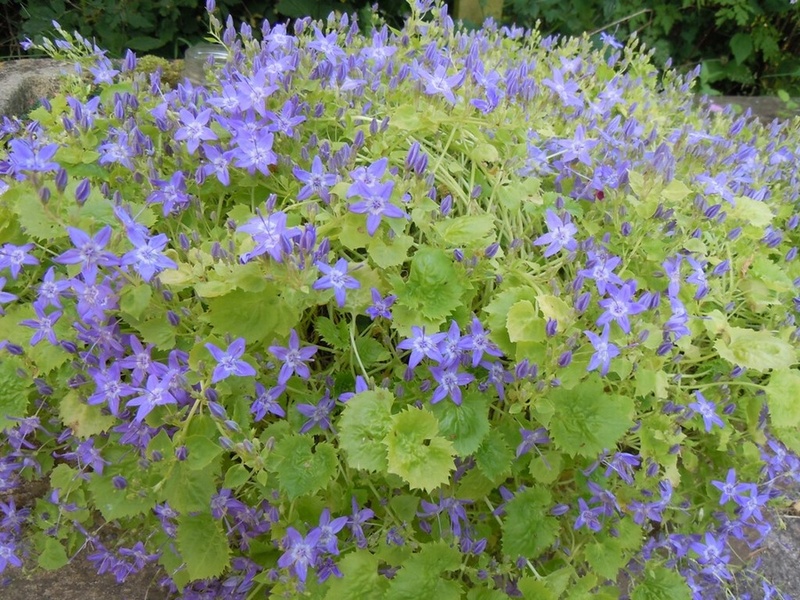 Bright golden-yellow leaves in spreading clumps with the added bonus of blue flowers in Summer. Height 5-10cm. For a sunny, well-drained but not too hot position. 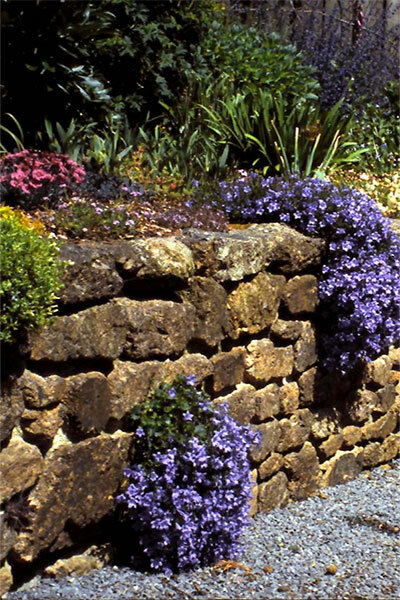 Ideal for rockeries, the front of the border, beside paving etc. Also good in pots and containers.